Folks you have a day and a half left to receive the $100 off offer. 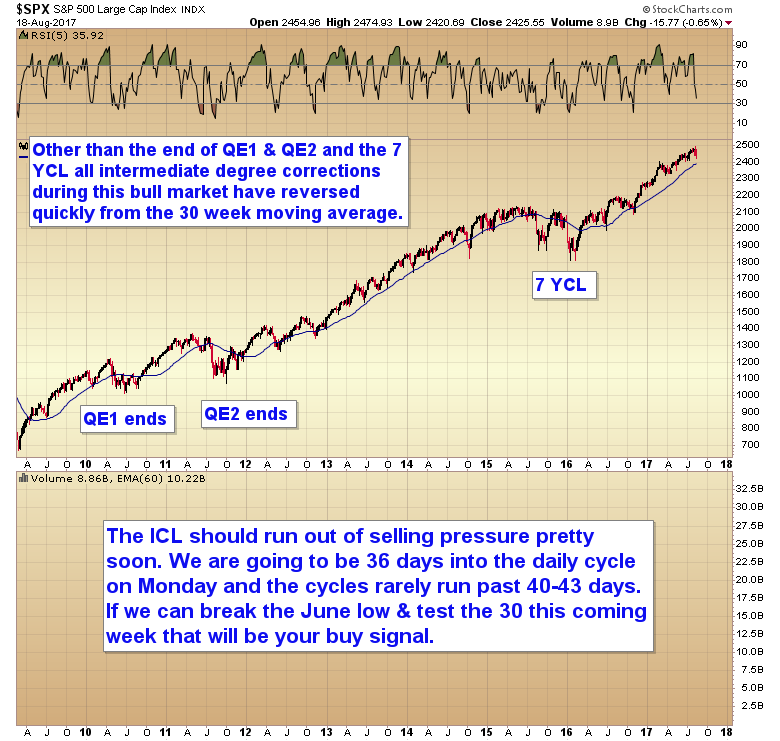 We clearly have an intermediate cycle low just like I was warning. We are starting the vertical phase of the bull market. Many people exited right at the bottom or cancelled their subscriptions this past week, right before the market took off to the upside. This is just how the market works. Most of you have to lose money so the rest of us can profit. If you want to make the big money possible during a parabolic phase and think you may need help staying the course this is your chance to get on board. Or if you are happy always missing the move because it doesn’t come when you want it to … then just keep doing what you’re doing 🙂 90% of traders won’t make a dime off the bubble. I intend for the SMT to be part of the 10% that does make (and more importantly, keep) the big gains that are coming. 10,000 will be a piece of cake, 20,000 isn’t out of the question during the really nutty phase of the bubble. This entry was posted in Uncategorized on August 31, 2017 by Gary. For the next 3 days I’ll offer a $100 discount off the yearly rate. 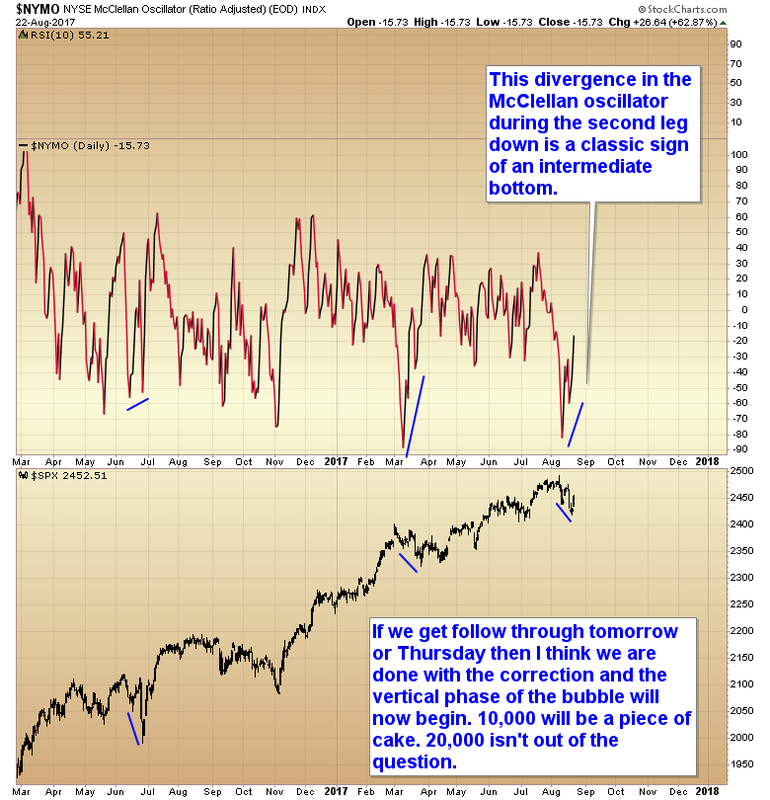 The time to buy is at bottoms. The time to buy a subscription is before we’ve made money not after we’ve already added another 10-20% to one of the portfolios. This entry was posted in Uncategorized on August 30, 2017 by Gary. This entry was posted in Uncategorized on August 28, 2017 by Gary. This entry was posted in Uncategorized on August 26, 2017 by Gary. This entry was posted in Uncategorized on August 25, 2017 by Gary. This entry was posted in Uncategorized on August 23, 2017 by Gary. CHART OF THE DAY – STOCK’S ICL COMPLETE? This entry was posted in Uncategorized on August 22, 2017 by Gary. This entry was posted in Uncategorized on August 20, 2017 by Gary. 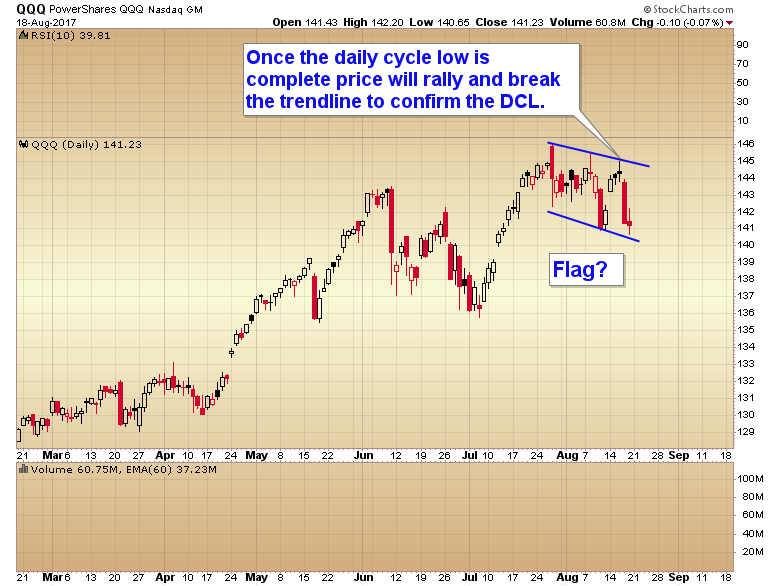 CHART OF THE DAY – BULL FLAG? This entry was posted in Uncategorized on August 19, 2017 by Gary.